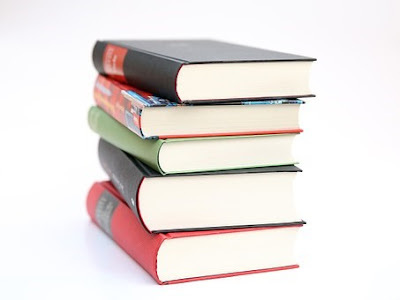 If you read my reviews, you know that I like to group several books under the same topic and post the reviews together. Here are some books that I've read lately that don't really fit into a category but are great to read. When I first started reading this book, I didn't like it but there was something that told me to keep reading and I'm so glad that I did. It's a wonderful book about family (unconventional but still family) and learning to trust yourself. Days after finishing it, I am still thinking about the two sisters. When Kat is very young, her father died and Caroline her teenage sister was granted custody. Caroline is a perfect sister and she takes raising Kat very seriously. She plans her life and her future and Kat follows her plans to the letter....until a policeman comes to the door to arrest Caroline for setting fire to her ex-boyfriend's house with him in it. Once the sisters are separated from each other, Kat has to learn to grow up and trust herself to plan her future while she diligently works to get her sister out of jail. This is an excellent character driven coming of age novel that will keep you cheering for Kat to learn to be her own person. 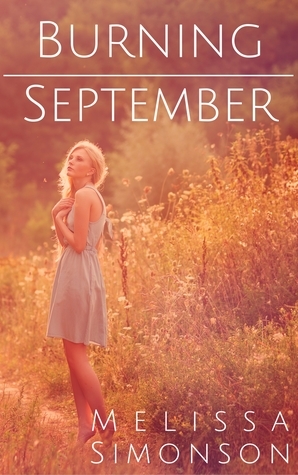 Buy Burning September at Amazon. 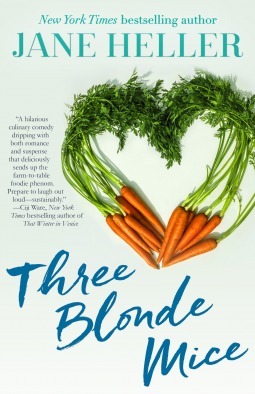 Elaine and her best friends Jackie and Pat decide to take a week's vacation at a cooking retreat. It's a retreat about farm to table cooking, something that doesn't appeal much to Elaine and after she meets the other people in the group, she is really not happy with the subject. Much to her dismay, the boyfriend that she just broke up with, shows up at the retreat to try to win her back. After a few days, Elaine finds out that someone plans to murder the celebrity chef who is leading the retreat. The police don't give her any help so she and her two friends make plans to stop the murder before it happens. This is a perfect romantic comedy for the not so young. I enjoyed it - especially Elaine who had a great snarky side to her personality. This is a sequel to Princess Charming but you can read it as a standalone without any confusion. This is book #27 in the Colton Banyon series and I think I'd have enjoyed it more if I had read the books in order. This book takes place in 1966 in Westhampton. A hurricane has caused a lot of damage to the sand dunes and when 17-year-old Colton and his best friend Dale decide to check things out, they are kept away from the location by army vehicles. They do some investigation on their own and find out that a Nazi u boat that had been sunk, had surfaced and washed to shore. During the following week, Colton and Dale have all kinds of adventures trying to solve the mystery of the boat and its cargo. This was a fun coming of age novel with lots of references to the music and life in the 60s. When I have time, I plan to go back and read the entire series. 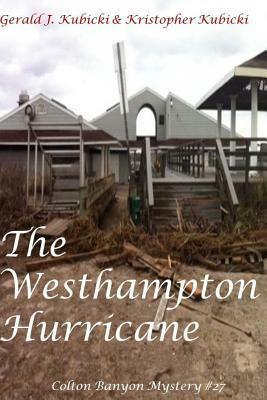 Buy The Westhampton Hurricane at Amazon. 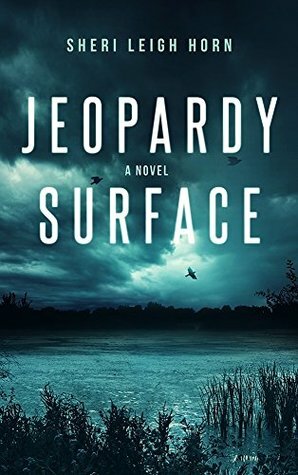 Jeopardy Surface is the first book in a new series featuring agent Regan Ross who is part of the FBI Behavioral Analysis Unit. Her area of expertise geographic profiling and predictive analysis is very helpful in pinpointing similar areas in a string of crimes which was very interesting to learn about. As the book begins, Regan is asked to consult on the body of a missing coed. The body had been mutilated and left in a remote area. As Regan and Rob Haskins (the lead investigator and a former boyfriend of Regan's) a similar crime is committed. It appears to be a serial killer but they were unable to find any similar crimes until Regan goes to an FBI conference and meets Rourke, an investigator from N Ireland who is lecturing on five similar murders in her country. Will Regan and Rourke be able to catch the killer before he continues his killing spree? Regan is a very well crafted lead character. She has a lot of flaws and leads a solitary life -- her parents are dead and she only has a sister and a niece and the aunt who raised them. She is ex-military and was injured both physically and mentally. It was very interesting to see her learn to trust other people and to start to heal. This was an excellent mystery and kept me turning pages to see who the murderer was. I am looking forward to the next book in the series. Susan Roberts lives in North Carolina when she isn't traveling. She and her husband enjoy traveling, gardening and spending time with their grandson. Susan reads almost anything (and the piles of books in her house prove that) but her favorite genres are Southern fiction, women's fiction and thrillers. Susan is a top 1% Goodreads Reviewer. You can connect with Susan on Facebook.